Mid-September in the heart of Washington Wine Country is the perfect setting for a Grokfeast. With our neighbors, best friends and a passel of kids, we celebrated our Grokfeast 1396-style. There are times when city dwellers need a break from the concrete. So our group, formed from members of the Primal Chicagoans Meetup group, headed to the edge of the suburbs to a neighborhood surrounded by forest preserves. There was grass! Trees! Insects! It was a great change for many of us and the perfect background for a Grokfeast. Our hostesses turned her house into a temple of food and good times. Her yoga studio held a table of Grok-approved cookbooks that members brought to browse during the afternoon. Another room, dubbed a “man cave,” played the Chicago Bears game (which nobody sat down to watch, of course). Mostly we spent our time outside in a backyard perfect for playing with several four-legged friends. 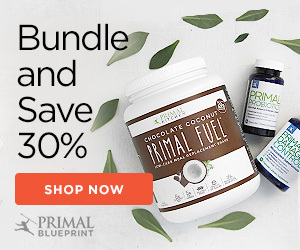 At the start of this 21-Day Challenge I put out a call for Primal Blueprint Workout Videos. And you responded with 23 top-notch clips. Boiling the submissions down to the top videos for this poll was no easy task. My crew and I discussed at length what made up a good fitness video. Was it fun and entertaining? Was the workout something we can see ourselves doing? Did it inspire and keep us watching? How well did it represent Primal Blueprint Fitness? On and on. In the end we held a blind vote and ended up with the following four picks. To everyone that didn’t make the cut, many, many thanks for taking the time to put together an amazing contribution to this year’s 21-Day Challenge. Honorable mentions go out to each and every one of you. Mark’s Daily Apple reader Marty submitted this Primal Blueprint Fitness video as his entry to this year’s Primal Blueprint Workout Video contest. This is one in a series of recipe videos, workout videos, Grokfeasts and other contest submissions that will be published all week long. View them all and vote for your favorites later this week. Grok on! Mark’s Daily Apple reader Suz submitted this Primal Blueprint Fitness video as her entry to this year’s Primal Blueprint Workout Video contest. This is one in a series of recipe videos, workout videos, Grokfeasts and other contest submissions that will be published all week long. View them all and vote for your favorites later this week. Grok on! This video was submitted to this year’s Primal Blueprint Workout Video contest. This is one in a series of recipe videos, workout videos, Grokfeasts and other contest submissions that will be published all week long. View them all and vote for your favorites later this week. Grok on!